Artists Ethan Patrick Harris, Barbara Haynes and Beth Vannatta open a whole new world of imaginative art to viewers in their exhibit “Into the Rabbit Hole.” The detail with which they convey their art and what they’ve seen in their minds will delight visitors. will be the musical performers and refreshments will be served. The artists will share about themselves and their art beginning about 7:40 p.m. The gallery is located at 128 E. Sixth St., Newton. Wichita artist Barbara Haynes grew up on the high plains of western Kansas surrounded by expansive sky and endless horizon. “The view was always the same yet ever changing depending on the atmosphere of the given moment,” she said. Her abstract paintings provide a different perspective inspired by the forms and shapes of the prairie. 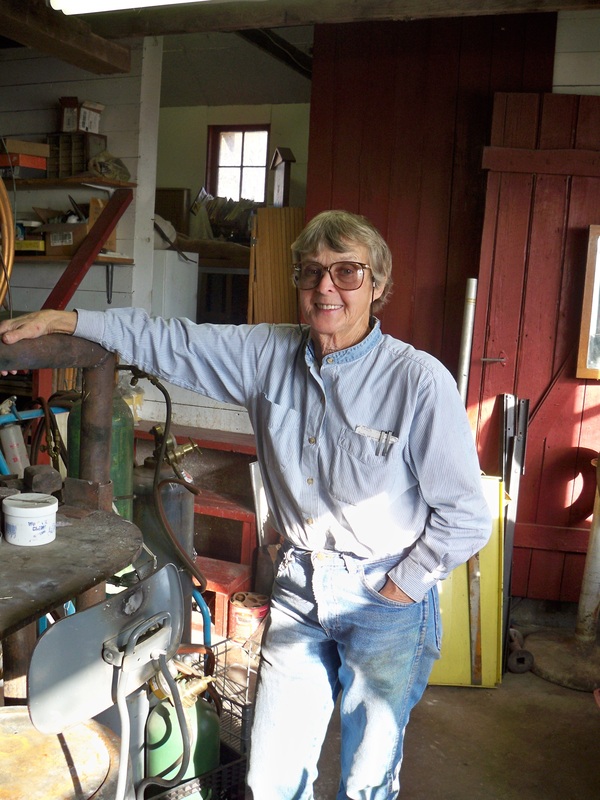 Artist Beth Vannatta owns a 48-acre wilderness farm outside of Halstead, where she converted the old chicken house into her studio. “There I sculpt in brass, copper, stone, wood and clay,” she said. She has taught art, jewelry design and stone sculpture and shown her work in Kansas, Colorado, Missouri, New Mexico and Oregon. The art of Harris, Haynes and Vannatta will be on display and for sale in the main gallery through September 12. For more information about the exhibit, contact the gallery at 316-284-2749. Carriage Factory Art Gallery is housed in the two-story carriage factory founded in 1883 by J. J. Krehbiel, co-founder of Bethel College. The building is listed in the National Register of Historic Places. Regular hours are Tuesday-Friday, 12 p.m. to 5 p.m., and Saturday, 10 a.m. to 5 p.m.